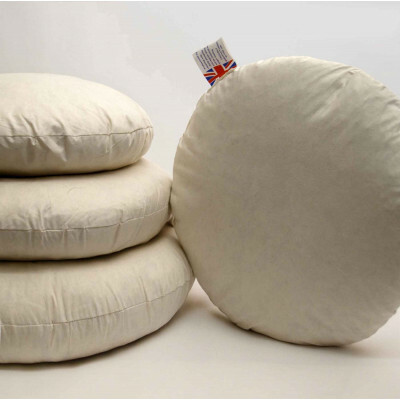 Our packs of 10 round cushion pads are perfect for both decorative purpose as well as for granting you a proper back support. Its lavish duck feather filling is remarkably soft and inviting. It contours according to your body shape and give you superb bodily support and comfort. Our duck filled cushions with 100% cotton casing with cambric down proof is soft and smooth and prevents feathers to peep out from the cushions. They are available in 16", 18", 20" and 22" sizes that will compliment any decor. Sizes available: 16" , 18", 20" and 22"